Okay, this is last. Here we go. 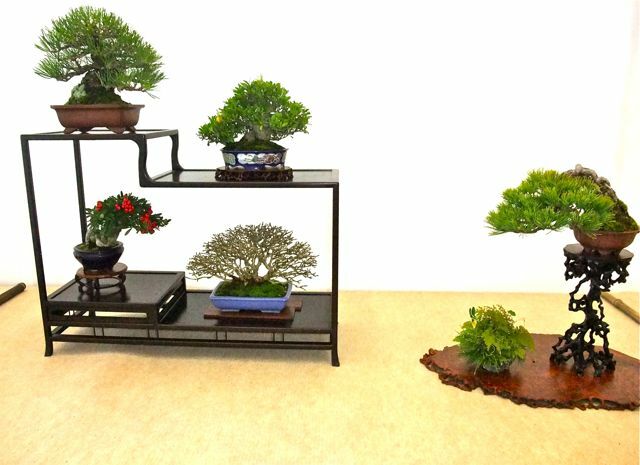 From top left: Japanese black pine, right: Gardenia, bottom left: Pyracantha and Ligustrum? could be wrong. 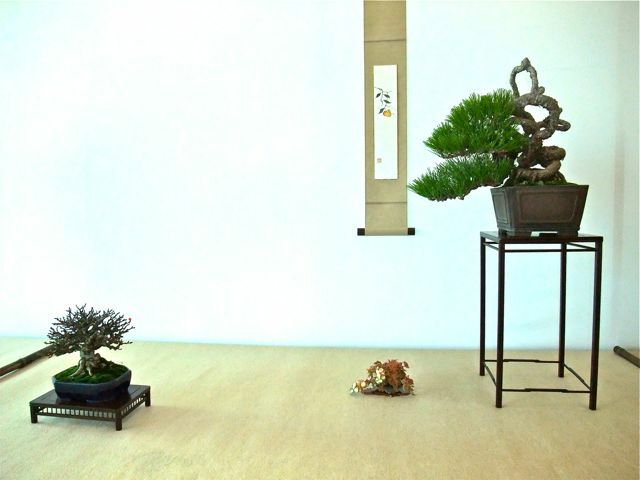 Far right: Japanese white pine and kusa. 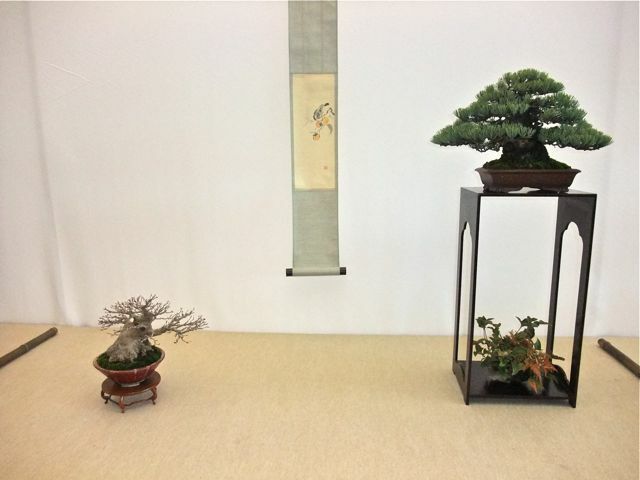 This is a display of my husband's bonyu(bonsai friend) . 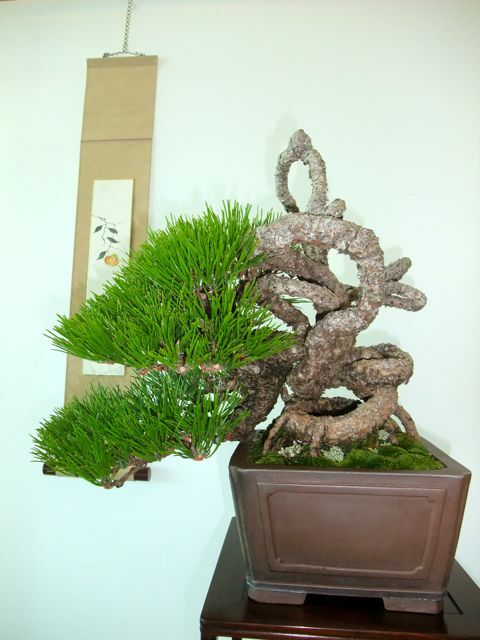 Grafted Japanese white pine. Mr.T, the exhibitor is over 80 but still energetic enough to hold a local auction. This JWP was put up for the auction, but no one bid so Mr.T had got it and trained for this stage. Amazing. 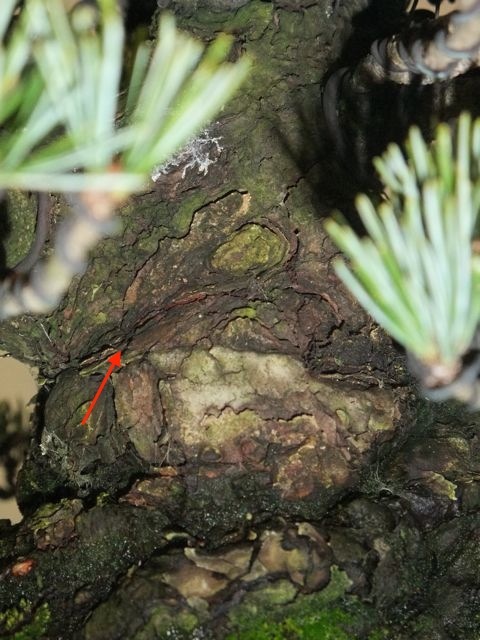 You can see the graft seam which I pointed an orange arrow. 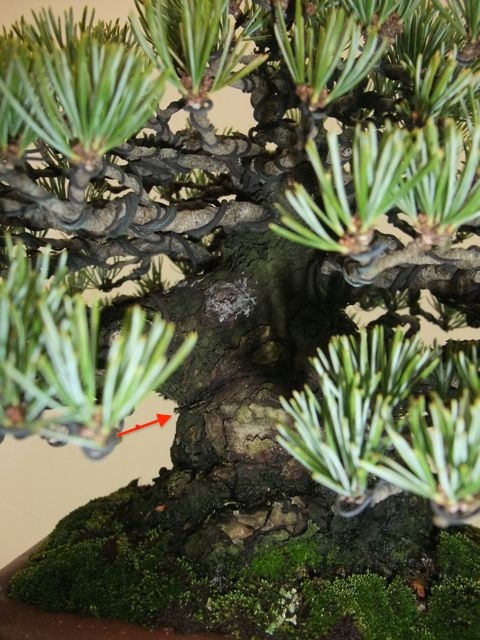 Almost impossible to recognize the graft seam. 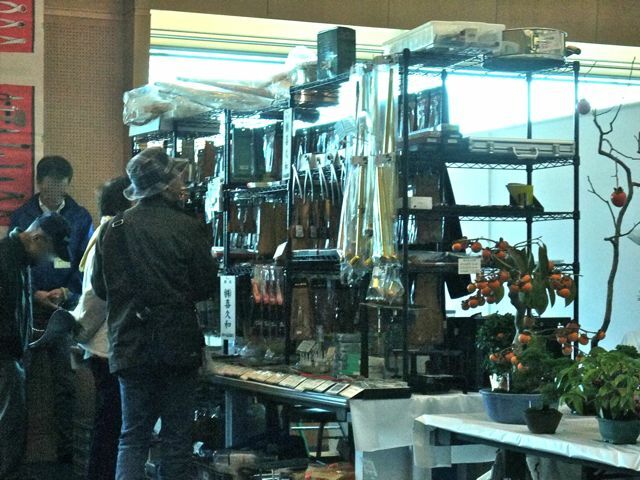 Vendor corner. This is Gasyo-en's. 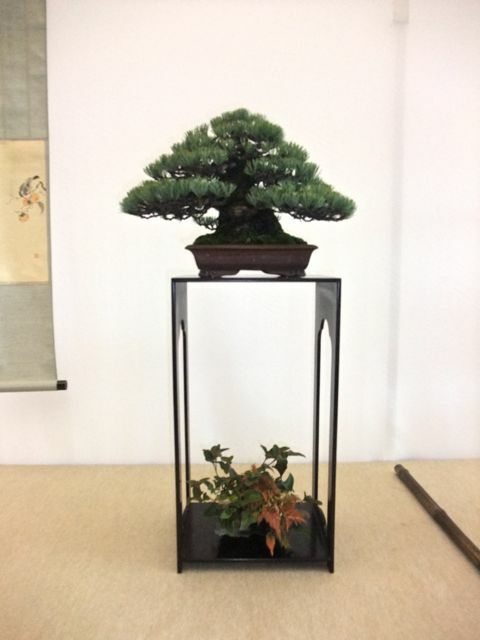 Gasyo-en is one of the high class shohin nursery in Japan. 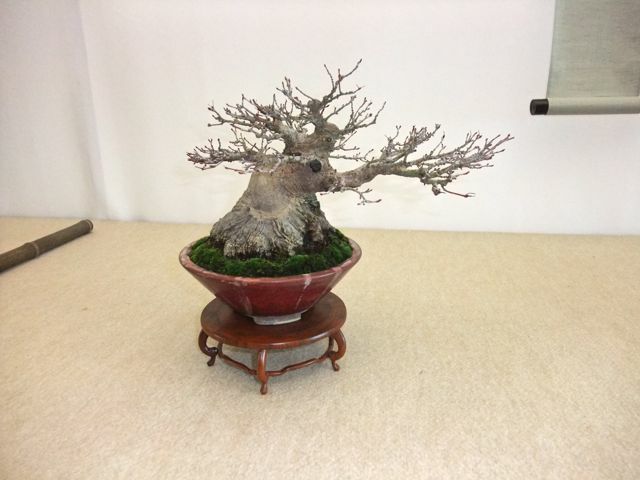 Higo Gayu-kai(bonsai club)is belonged to Gasyo-en. 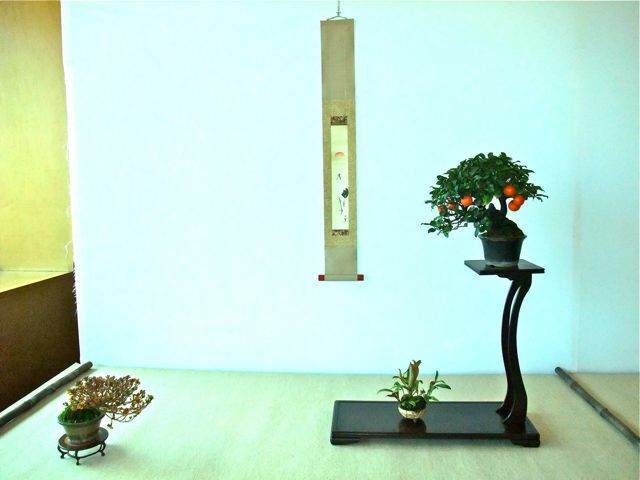 Nomoto tinsyo-en. 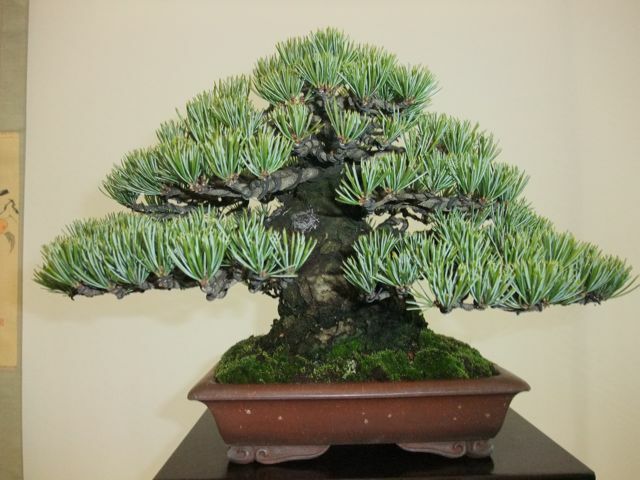 This nursery is located in Miyazaki. I hope all you enjoyed this series. 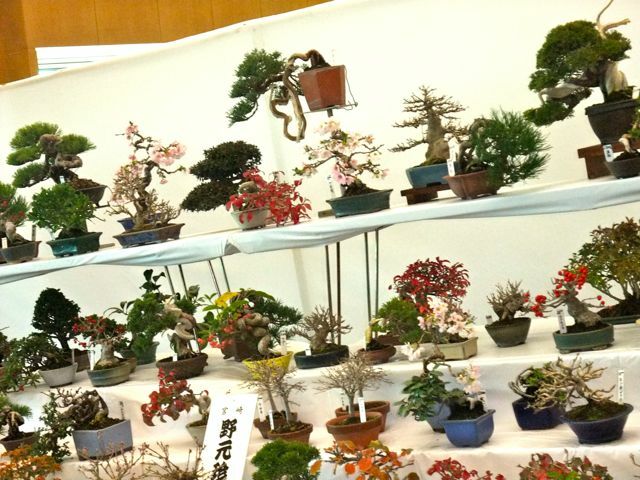 Lastly, I would like to propose the AJSBA should specify all display's pot makers, tree types and exhibitors name in English too. Thanks for these, especially taking the time to add tree/pot details etc. Not at all. I also learned those details in English&Latin. 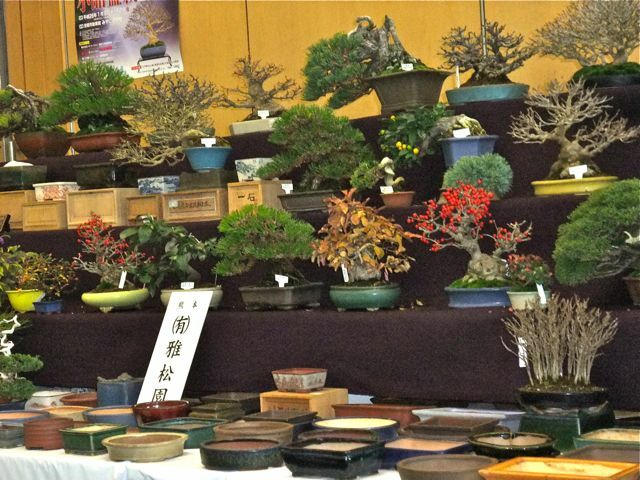 Copyright © Bonsai Days All Rights Reserved.